Dance India started in the UK in 2006 and has continued to grow in programme, students and faculty ever since. The school was started to meet the demands of a large number of dance students within the UK who had limited opportunities close to home to challenge themselves and work intensely on developing their dance skills and knowledge. 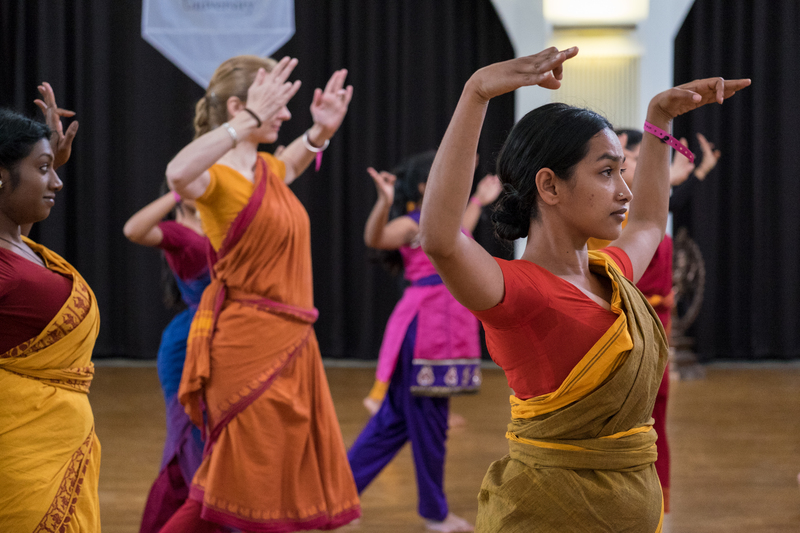 The school quickly became extremely popular, with Bharatanatyam, Kathak and Odissi students signing up from across the UK and soon from around the world. In 2015, Dance India UK welcomed students from over 15 different countries. In 2011, Dance India began another edition in Singapore – Dance India Asia Pacific – which has grown tremendously and now welcomes students from Malaysia, Australia, Hong Kong and India too. Dance India Asia Pacific is held in partnership with Apsaras Arts with support from the National Council for the Arts (Singapore). One of the most significant elements of Dance India is the teaching faculty. The experience of learning from and interacting with legendary teachers and performers of our time is rare. A programme of evening performances by the tutors and guest artists reinforces the learning process and offers an inspiring ideal for budding dances to aspire to. The atmosphere at Dance India is friendly, caring and sensitive to the needs of all students. A nurturing yet structured learning programme allows students to develop through the intensive week, whilst a range of complementary activities encourage healthy dance practice. This holistic training leaves students with a transformative experience which informs and enhances their future dance practice. The programme is suitable for young people above the age of 16 and adults of all ages. In some cases students from the age of 12 may be admitted subject to conditions.